Kind women named Moonglade Rose loves animals. She saved a cat who needed love and kindness and when she found a new kitten in distress who needed someone, Rose knew she had to help him. 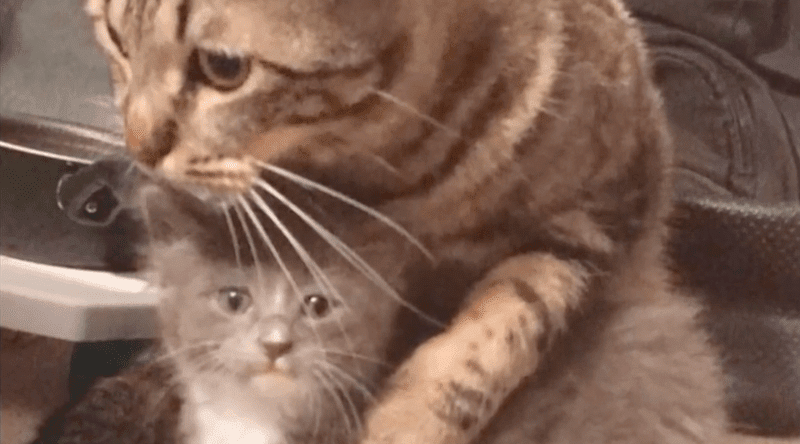 What she didn’t know is how her other cat would react to her bringing home the new kitten, but it turns out Andy, her previous rescue cat knew how it felt to be abandoned. When he saw the new kitten in need of love, it was just beautiful!